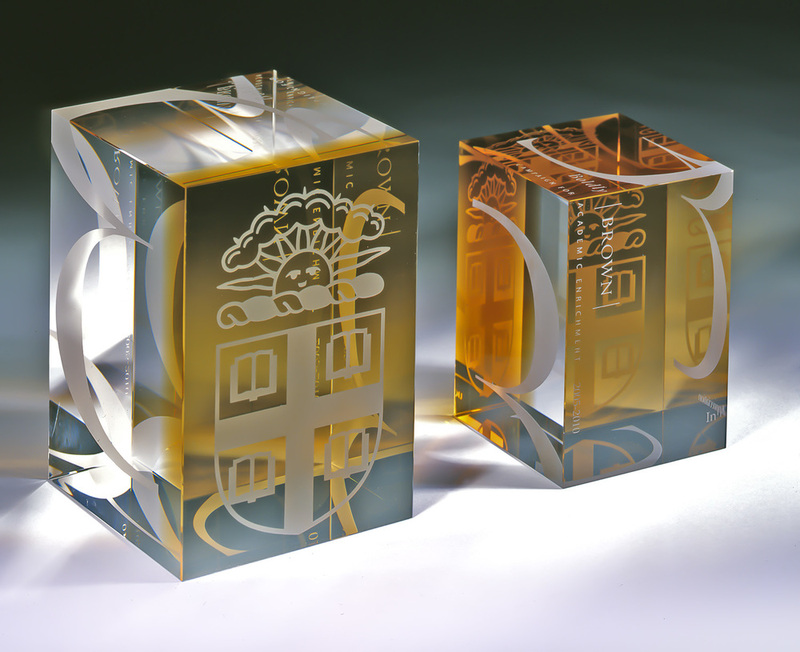 Designs and manufacturer of custom glass sculpture for gift giving, to award achievement, to honor excellence, and to bestow special recognition. Whether project based or part of a program that delivers a suite of gifts to cover differing needs. IGT chose special inaugural gift. 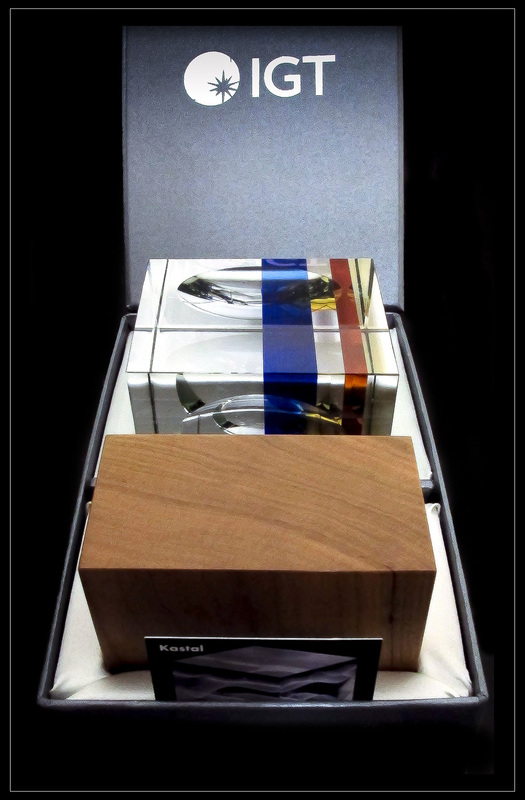 Traditionally presented to the president of the New York Stock Exchange upon launch of a new listing, IGT's gift will be on display in the NYSE gallery. Extraordinary contributions deserve extraordinary recognition. 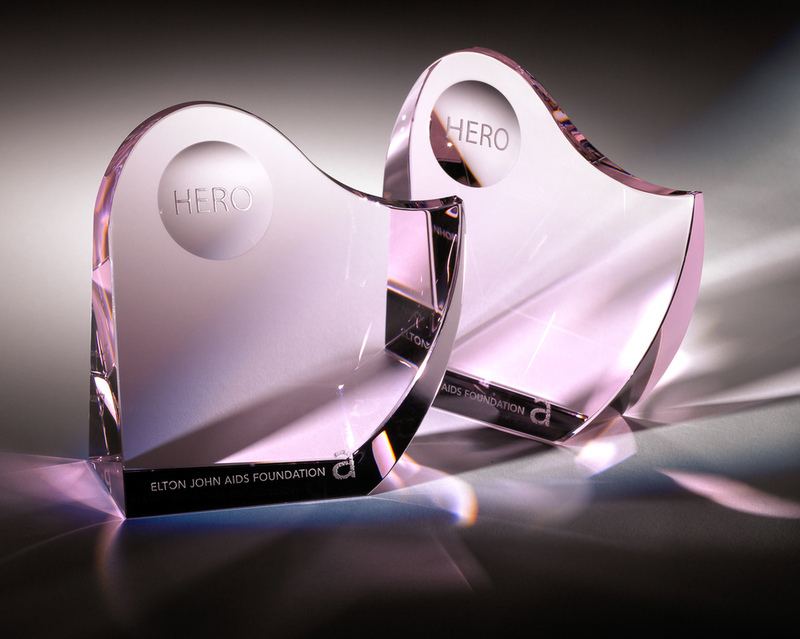 The above awards represent a unique cross section of exceptional honors: (left to right) Unesco World Heritage piece to honor a historic cultural site in China • Elton John "Hero" awards honoring extraordinary contributions by individuals to help in the fight against AIDS • Brown University proudly honors exceptional leadership with its "Boldly Brown" campaign • WIN ABC recognition award presented to brave survivors and major contributors in the "Win against Breast Cancer" campaign, the recipients of this particular award were Olivia Newton John and Hillary Clinton. The Terezin Music Foundation award.